Operated in over 50 countries across the globe, HYPOXI is proven to be an effective weight loss and body contouring solution for men and women as well as a successful business venture. The global obesity epidemic is significantly increasing the number of people seeking body contouring procedures. Although diet and exercise modifications are always recommended, the body contouring market is set to reach $1.1 billion by 2022 driven by consumers looking for non-invasive procedures to target stubborn fat and cellulite. An in-store licensed HYPOXI-Studio is a popular concept for existing business owners looking to attract new customers and turn underutilized floor space into an additional revenue stream and profit center. The simplicity of the business model is what attracts our licensees. 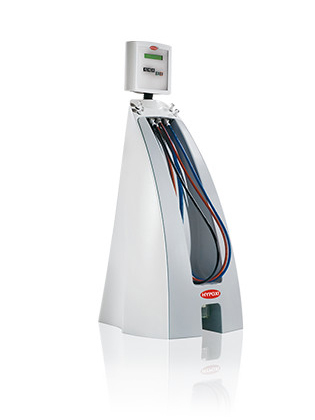 The HYPOXI-Technology operates on a per-treatment basis with minimal labor involved, which allows a licensee to operate a 2-5 device studio simultaneously. HYPOXI offers strong revenue potential with low overheads, making it the perfect add-on to your existing business. A HYPOXI-Studio license concept is attractive to those who want to launch a body contouring business, either stand alone or with other spa and weight loss modalities, or those businesses within the fitness, wellness, beauty and medical spa space. The HYPOXI-Method presents a unique opportunity within the competitive body contouring/wellness/weight loss sectors. The patented HYPOXI-Technology achieves targeted results and there is a wealth of scientific evidence to support the method, as well as large-scale trials to confirm the effectiveness of HYPOXI. HYPOXI’s patented technology has been a proven technology since the mid-90’s focusing on apple and pear shaped women, moms struggling to lose baby weight, women and men who do not enjoy the gym but want results, women looking to regain that hour glass shape, fit people looking to target those last stubborn pounds, men and women who experience fluid retention and people looking for an alternative low impact exercise that gets results. Our license model gives licensees access to a comprehensive training program, ongoing operational support and online access to resources such as marketing collateral and merchandise. Now licensing in the U.S. Please use our contact form below or call our Business Development Office at 623 440 5340 for more details. 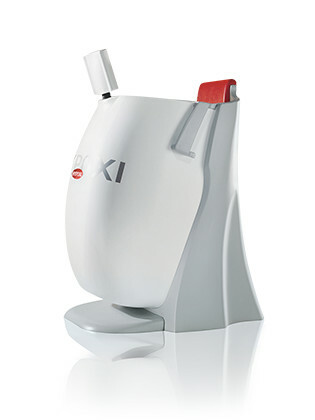 The HYPOXI method utilizes four unique, patented devices which combine the three elements of vacuum therapy, compression therapy and low-impact exercise to successfully target stubborn areas of fat and cellulite on both men and women. Each machine has specific benefits including targeting fat around the lower stomach, hips, buttocks, thighs and lower back, as well as cellulite reduction and fluid retention reduction. A licensed HYPOXI studio can be set up with as little as two devices and up to a maximum of eight devices. Or contact our Business Development office at 623 440 5340. 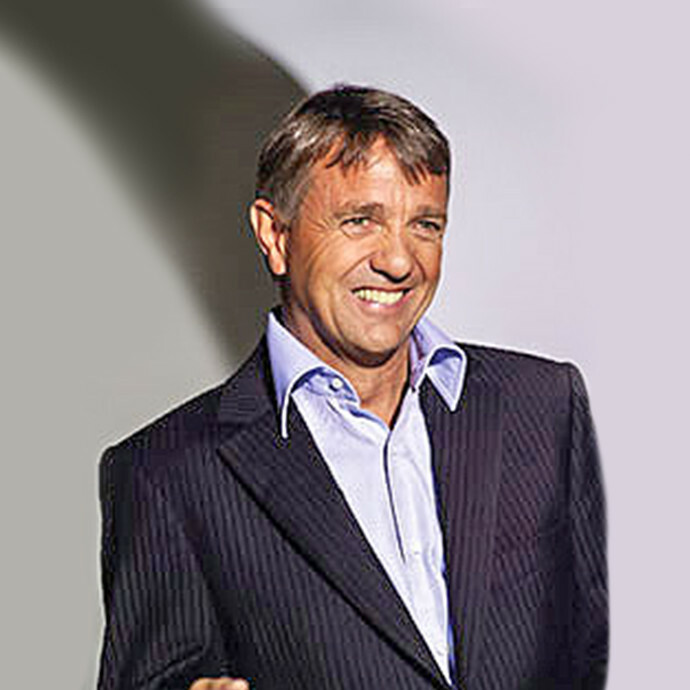 In 1997, esteemed Austrian sports scientist, Dr. Norbert Egger, founded HYPOXI and with it the first company in the fitness industry that focused on systematic body shaping. 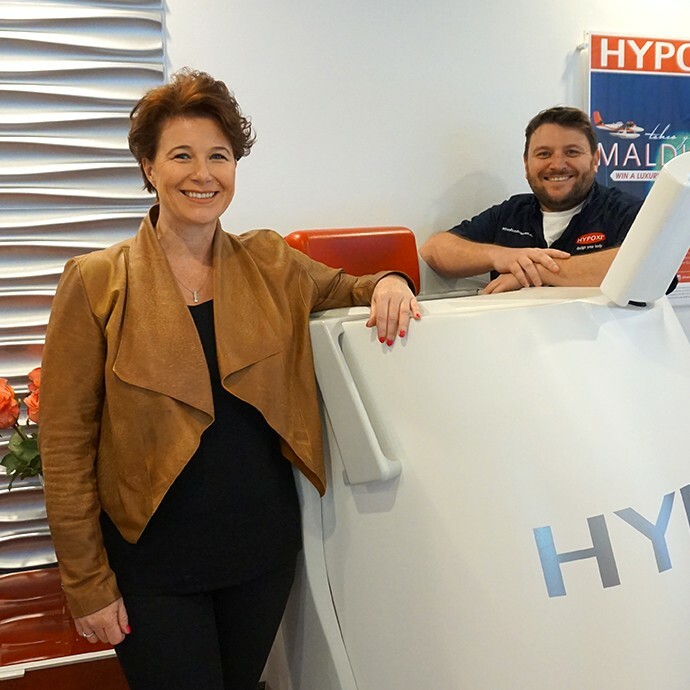 Since launching in the European market in 1997, HYPOXI has helped people fine tune their bodies, expanding its presence to more than 50 countries worldwide. HYPOXI USA is part of Fitness and Lifestyle Group, headquartered in Australia. Fitness and Lifestyle Group is a market leader in the fitness industry and includes health and wellness brands Goodlife Health Clubs, HYPOXI Australia, HYPOXI USA and Jetts Fitness. Over the last ten years, HYPOXI has grown to more than 80 studios in Australia boasting the largest network of authorized HYPOXI studios globally. Off the back of this success, HYPOXI USA launched its flagship studio in Scottsdale, Arizona in 2015. Now, this proven licensing concept is available in the U.S. as a standalone studio or shop-in-shop model. What is it that you love most about owning a HYPOXI Studio? I wanted to be my own boss and I wanted to help people. Every client leaves happy, they all get great results and I love being part of that. How has HYPOXI Australia supported you in your business? HYPOXI Australia was a huge support in helping us from business plan, finance, marketing and training. They were there every step of the way. What has owning a HYPOXI studio/business allowed you to do for yourself or/and your family? Owning and operating a HYPOXI studio has provided financial independence, flexibility and the opportunity to travel. As I’m writing this we are currently in a beautiful 5 star resort in Langkawi while our staff run the studio. Would you recommend HYPOXI to someone interested in starting their own business and Why? Yes I would recommend starting a HYPOXI studio because it is a unique product that actually works. It has world wide credibility and Australia is at the forefront of sales and marketing. What would be a moment/experience in your HYPOXI business journey that you feel, you could proudly tell the world about? We are proud of the fact that in under 12 months we added two new devices to our studio and in our second year added three staff and doubled our turnover. What makes you the great/successful HYPOXI studio owner you are? As owner operators we both come from sales and marketing backgrounds. We have a high focus on customer service and we’ve set our studio up to reflect the premium brand. I have found my true passion. I love the personal experience my staff and I give to each and every client that joins with us plus supporting them in every way we can on their personal journey. HYPOXI Australia is very responsive and quick to assist with every question/comment sent through the ZenDesk. With last minute questions, machine breakdowns or errors HYPOXI Australia is exceedingly quick to act with the last minute panic of us studio owners.Recognition from Head Office has also made me recognize what my personal studio potential is and has. HYPOXI Australia’s insight of my personal studio has made me re-strategize my ‘on the business’ skills such as Marketing Structure, Standard Operating Procedures and Business Growth. Going on 5 years since opening the hard work from myself and husband Steve has made us be able to hire 7 staff members for in the studio with me working on the business (and coming in and out to chat to all clients and introduce myself to all the new ones)! Our staff are absolutely fantastic and we are greatly appreciative of them stepping up, taking on more duties for us to visit my home country of Canada a couple times a year plus any last minute holidays! There has never been a day I ‘didn’t want to go to work’ even after 5 years. Being a HYPOXI Ambassador already I have recommended HYPOXI to numerous people interested in joining the HYPOXI network. I have found my personal passion with HYPOXI, it’s health benefits with the importance of increased circulation, how it assists in so many people’s personal body transformation journey, owning my own business, being my own boss, taking on all the challenges that come with being a business owner whilst still using my previous science career a huge success. I have keen interest for people throughout Canada to open one as I tell everyone about it! I only have positive comments of owning a HYPOXI studio from my own personal/independent experience. I love what I do and have never thought of doing anything else or going back to my previous science career. With my husband Steve being a director and working full-time himself, support of one another is key to a stable foundation of anything. Our hard work together over the first 4 years was crucial to our success. Never giving up on myself, my staff or my clients through the course of building a strong, stable business that I absolutely love and am passionate for over the last 5 years and have never lost. My motto is ‘treat everyone as you like to be treated’ and for client’s to come back after 3+ years and the same staff are still there, remembering their stories and ours makes them know our studio is a very comfortable, welcoming environment that no-one wants to leave and/or keeps coming back to. I have completed the “Want More Information” form, what can I expect next? Congratulations on taking the first step towards licensing your own HYPOXI devices! We appreciate your interest and as a next step you can expect to hear from our Director of Business Development via phone for a confidential conversation. We want to know a little more about you, your professional background, whether you have undergone your own HYPOXI journey, what devices are you looking to make into a business venture etc, and it also allows us to answer your initial questions. Our license screening process commences with this initial call. I simply want device pricing, specifications and information on the licensing opportunity sent to me. How long will this take? We value your interest and our assessment process is critical to ensuring we recruit the best possible brand advocates into the HYPOXI family. The very nature of our business sees our licensees developing relationships with prospective clients, and providing ongoing support during for what is for some, a highly personal and sensitive journey. The ease of building rapport and relationships is pivotal, which is why we would like to talk to you in the first instance. More specific information will be emailed to you following this initial introductory call. 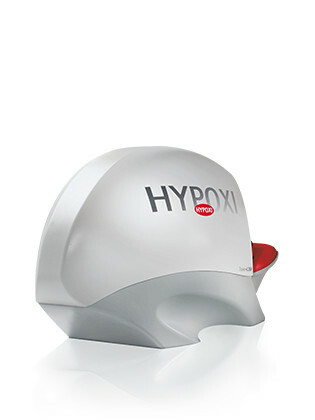 I want to own a HYPOXI device in my home. Is this possible? Yes. Assistance is required when suiting up for your HYPOXI session. How much start-up capital is required to own a HYPOXI device? This varies depending on your vision for your HYPOXI-Studio or current business model. We would be only too happy to elaborate on both the option to purchase the devices outright, or the finance lease options available (which are subject to credit assessment). There is already a HYPOXI studio in my area. Can I open a HYPOXI studio in the same suburb? Licensee's have an exclusive 10-mile territory that we need to respect. We would be only too happy to look at your specific location of interest and advise as to whether this is a location that is available for a studio. I have received and reviewed the information pack and am keen to progress my research. What is the next step? If our initial information pack has further fueled your interest then the next step is to organize a trip to the HYPOXI USA Corporate Headquarters located in Scottsdale, AZ. License fees are based on the number of HYPOXI machines you choose to incorporate into your business. The minimum monthly license fee begins at $299.00 per month and is capped at $499.00 per month. Specifics will be shared upon gaining a better understanding of your business plan. I want to purchase HYPOXI devices for my current business - now what? We are happy to assist you. Simply enter in the form field provided that you would like to purchase machines for your current business and we will provide all the relevant information to you via the contact details provided. If you own a medical spa, health club facility, salon or a fitness center we would like to speak with you. I want to own a HYPOXI-Studio and I haven’t owned my own business before. Is this an issue? No, we do not see prior business ownership as a prerequisite to success. In fact, many of our strongest performing HYPOXI-Studios are owned by first-time business owners however, they brought with them a strong commercial acumen and business experience which they could apply directly to their own business venture. I want to purchase a single HYPOXI device for my existing businesses. Is this possible? 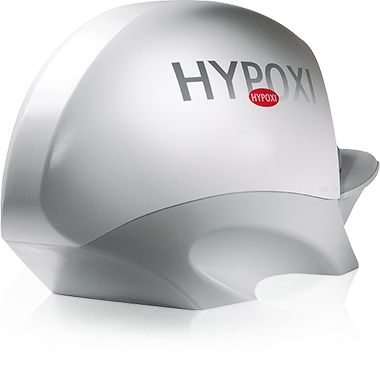 HYPOXI is a targeted weight loss concept consisting of a portfolio of 4 patented devices. 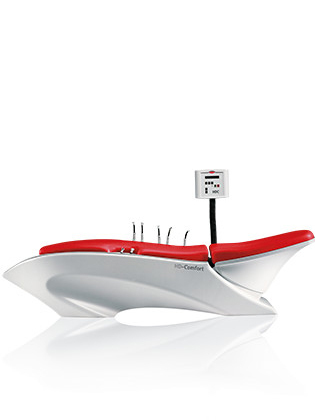 We do offer the Vacunaut-HD Combo that provides two HYPOXI devices into one concept. A treadmill and a massage table will be needed to properly perform the dual session. Our minimum start up concept would consist of 2 HYPOXI devices with the Dermology and either the S120 or the L250 trainer. This concept allows you to treat both male and female clients using the most relevant treatment device for their specific problem areas, and incorporates the Dermology treatment that is an integral part of the HYPOXI Method. How long does the process typically take to begin the lease of my HYPOXI devices? The time frame from initial inquiry through to studio opening will depend on you. Prospective Licensee's move through the research phase at a varied pace however, as a general guide most Licensee's have progressed through the process in a 4 month period. That being said, some enquiries have taken up to 18 months for the timing to be right. This process involves the execution of the Equipment Leasing Agreement, the Equipment Sub-License Agreement and the HYPOXI USA Order Confirmation, developing a business plan, preparing and submitting an application for finance through Brickhouse Capital (if applicable), premises search and lease negotiations, fit out of premises, studio set up, operational training through to studio launch.